Zeige Ergebnisse Anbieter "Talk in French"
Eine erfolgreiche und sich lohnende Methode um Französisch zu lernen. Lesen ist die perfekte Alternative, wenn Sie nicht die Möglichkeit haben in ein französischsprachiges Land zu reisen um dort in die Sprache einzutauchen. 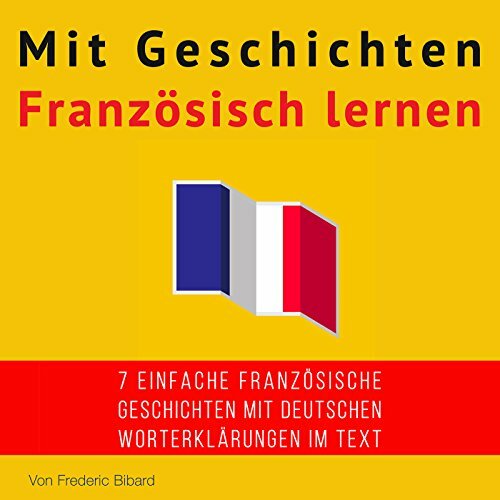 Ein unkomplizierter und sinnvoller Weg um die französische Sprache zu erlernen. Bewiesenermaßen ist Lesen eine der effektivsten Methoden um eine Fremdsprache zu lernen. Französisch besser lesen, verstehen und sprechen können! 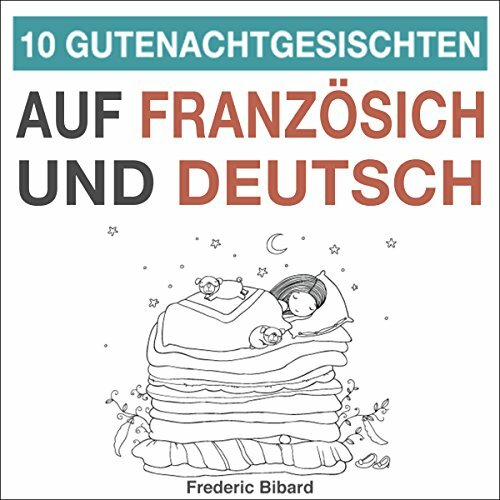 Mit diesen 15 witzigen und fesselnden Geschichten auf Französisch wird das Lernen neuer Vokabeln zum Kinderspiel! Das Lesen und Hören von Kurzgeschichten ist eine effektive und unterhaltsame Methode, um Französisch zu lernen. 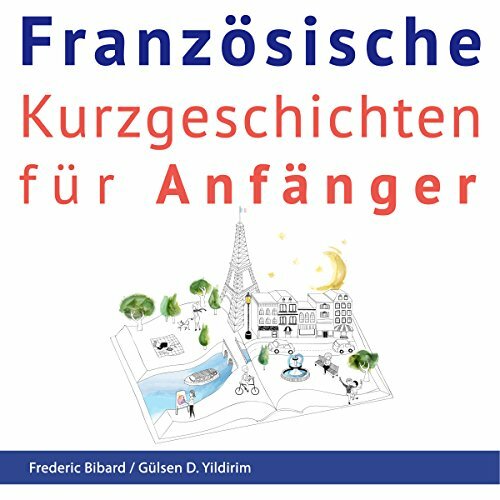 Für alle, die sich gerade nicht aus ihrem Alltag davonstehlen und in ein französischsprachiges Land eintauchen können, ist das Lesen und Hören französischer Geschichten die nächstbeste Lösung! Wecken Sie in Ihren Kindern die Freude am Lesen während Sie ihnen dabei helfen, ihre Kompetenz im Französischen und im Deutschen zu verbessern. 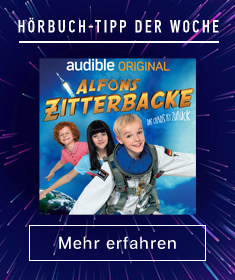 Dieses Buch ist perfekt für Kinder zwischen 8 und 12 Jahren. Es wurde speziell dafür entwickelt, die Sprachkenntnisse zu verbessern, die Fantasie zu fördern und den Weg zum lebenslangen Spaß am Lesen zu bereiten. Spieldauer: 26 Std. und 45 Min. 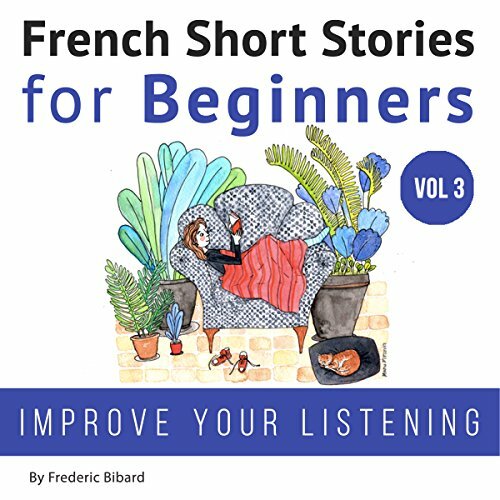 Brush up on your French, improve your reading and listening skills, and make learning new vocabulary so much easier with 15 fun and engaging French stories. 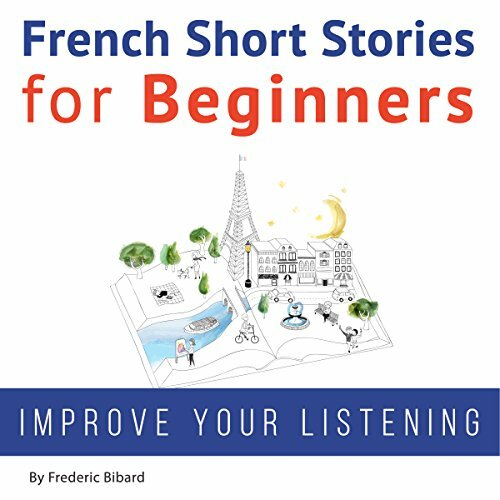 Reading and listening to short stories is an effective and enjoyable method to learning French. 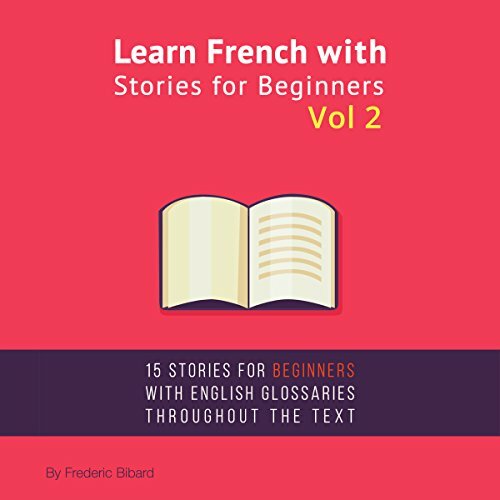 For those of you who can't just slip away from life, travel to France and immerse yourself in the language in order to learn it, this is your solution! 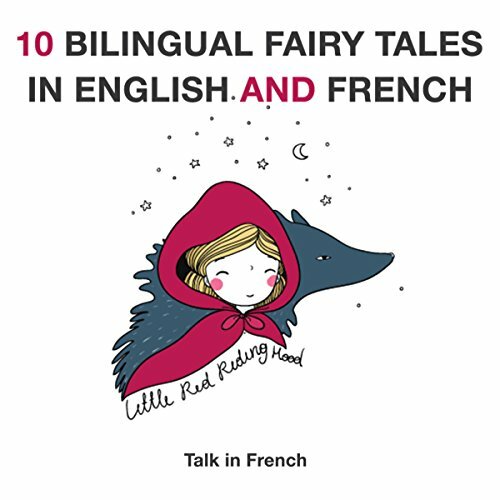 Reading and listening to native-spoken French stories is the next best thing. Learn 1000 French Words - Without Memorization! Did you know that you only need 1,000 French words to understand 76% of all French nonfiction writing, 79.6% of all fiction, and a whopping 87.8% of all spoken French conversations? 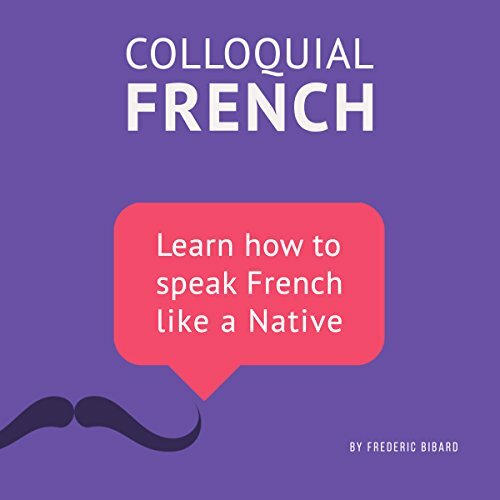 Now you can take a shortcut to French vocabulary by learning 1,000 of the most common French words covering 26 themes - with no need for rote memorization. All you need is six to seven minutes per day to listen to audio drills. Great way to learn French. Thumbs up! If you simply stick to the formal vocabulary you are taught in your French course, you will have a hard time understanding native speakers. 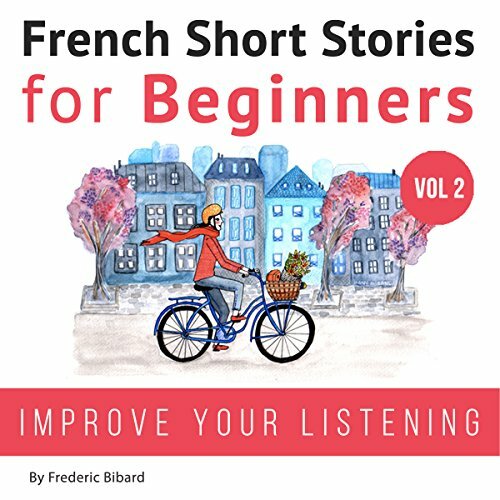 This audiobook will help you to progress in everyday French - the kind you can hear on the street, in movies, and on the radio. Spieldauer: 17 Std. und 5 Min. If you cannot easily visit a French-speaking country and immerse yourself in the French language, listening to a book is one of your best alternatives - a painless and effective way to absorb the French language. Listening has long been proven to be one of the most effective ways of learning a foreign language. By studying in this way, you should be able to improve your French without the monotonous chore of memorizing grammar. 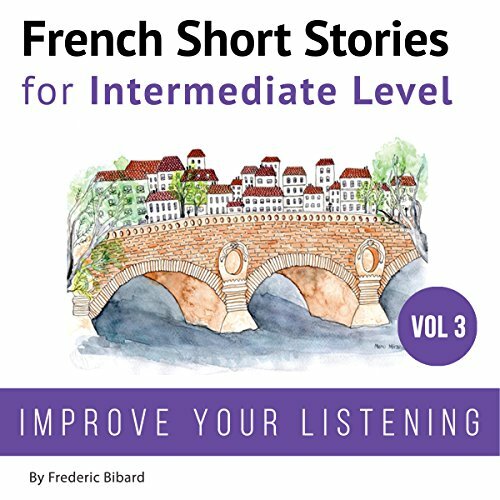 This audiobook covers a diverse range of grammatical structures (description, casual conversation, useful vocabulary). 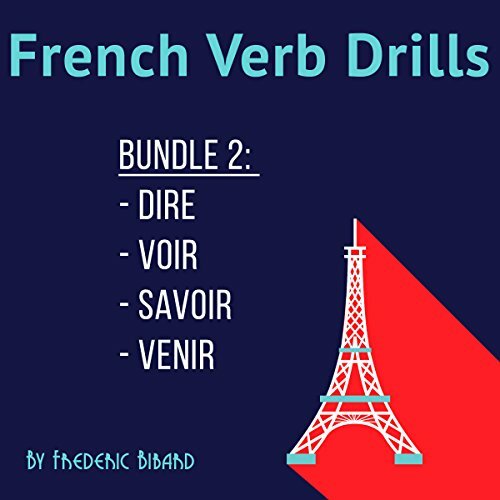 French Verb Drills Bundle 2: Master the French Verb Dire / Savoir / Venir / Voir - with No Memorization! Learn the different conjugations of the highly useful verbs dire, savoir, venir, voir without memorizing anything. Using repetition exercises designed to build your reflexes, the drills will help you develop an instinct to select the correct verb form naturally, with no more hesitations. 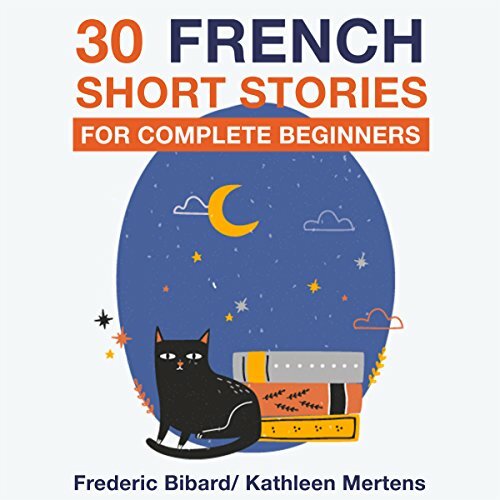 These French short stories are perfect for beginners. 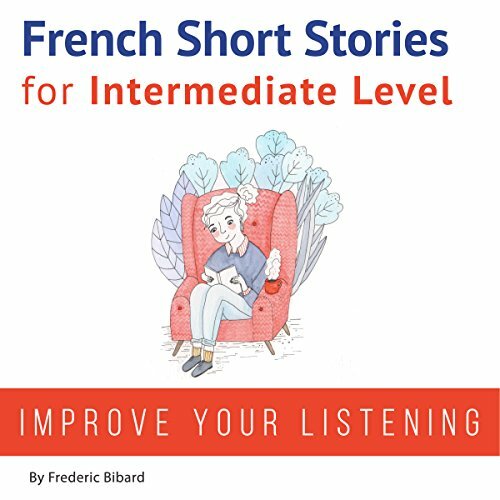 It's a painless way to improve your French vocabulary and your confidence at reading and listening. No dictionary necessary. 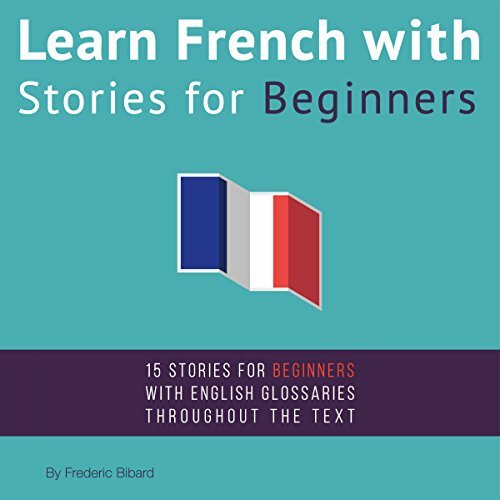 Each story is broken down with French and English glossary. 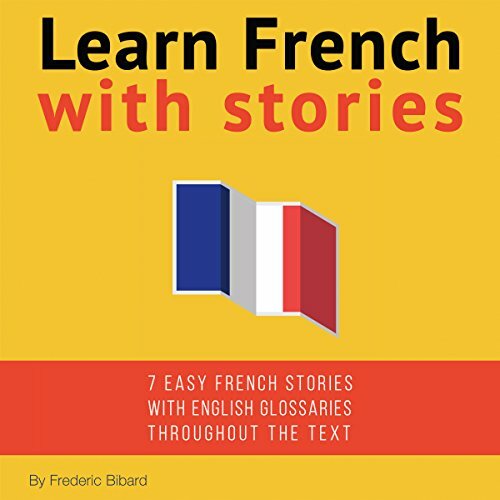 See example below: Each story is broken down - with French and English glossary. Do you sometimes find that you know all the words in a sentence but still cannot figure out the meaning? Congratulations, you've probably met an expression or idiom. For example, when you say, "It's raining cats and dogs", you don't mean that cats and dogs are falling out of the sky, of course, but rather that it's raining heavily. The French also love to use expressions to convey more specific messages. By learning some of them, you will move from an academic form of French to a more natural one. Improve your French pronunciation and listening skills. 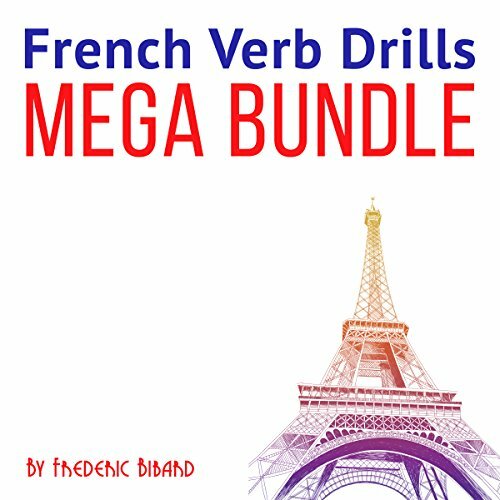 Make learning new vocabulary so much easier with 15 fun and engaging French stories. 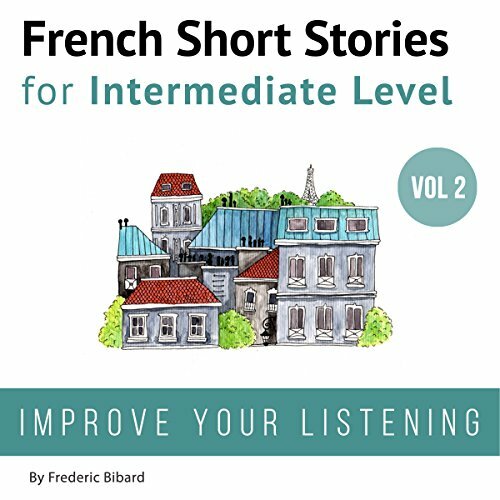 Listening to short stories is an effective and enjoyable method to learn French. 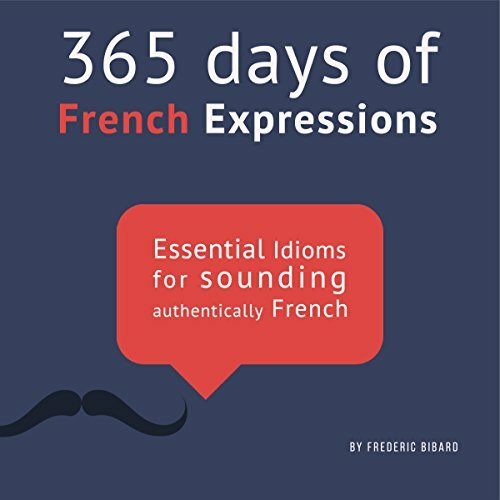 For those of you who can't just slip away from life, travel to France, and immerse yourself in the language in order to learn it, this is your solution! Listening to native-spoken French stories is the next best thing. 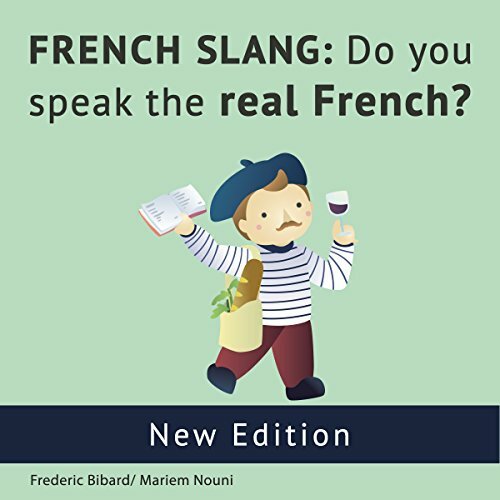 French Slang: Do You Speak the Real French? All the essential French slang you need to speak like a native: Let's face it, real-world French doesn't sound like it just came out of a stuffy formal textbook. This book will help you sound like an actual human being from the 21st century. 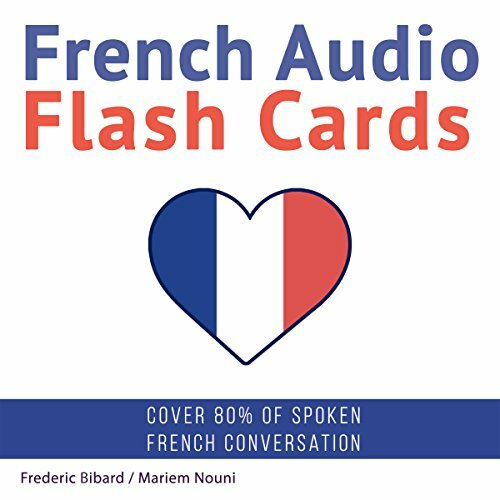 Now you can learn and understand everyday French conversations - the kind you can hear spoken by native speakers on the street, in movies and TV, and, more importantly, in real life!